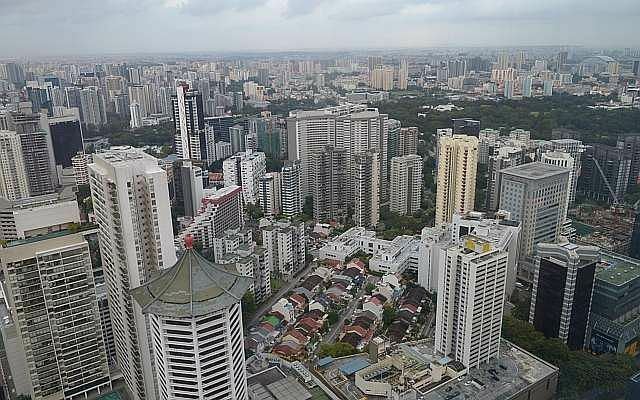 SINGAPORE - Singapore was ranked the world's most expensive city for the second year running by the Economist Intelligence Unit (EIU) on March 2. The survey, which covers 133 cities, gathers detailed information on the cost of more than 160 items in each city, from food, toiletries and clothing, to domestic help, transport and utility bills. More than 50,000 individual prices were collected for the latest survey. While the cost of living in Singapore has gone up over the years, there are still cheap bargains - and even things that are free - to be had. Even with the impending increase of 2 to 5 cents in bus and train fares from April, taking public transport in Singapore is still cheaper compared to some cities. 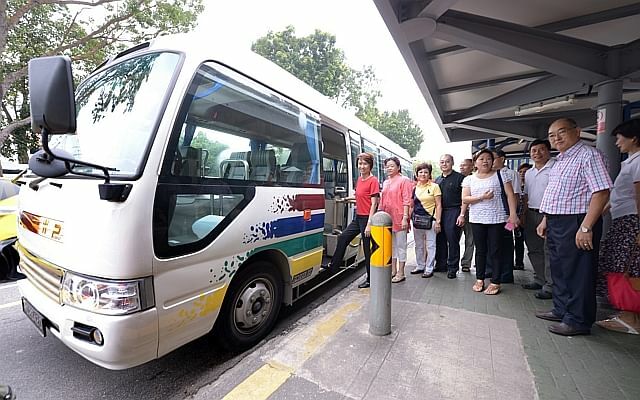 In a comparison released by Singapore's Public Transport Council in January this year, the current fare for a 10km trip here using both bus and train costs between $1.33 and $1.48. It is cheaper than Hong Kong ($1.67-$2.92), New York ($3.28) and Tokyo ($4.17). Some shopping malls offer free shuttle service during lunch time or on weekends. To name a few, Parkway Parade in Marine Parade takes shoppers to and from Bedok and Sengkang on weekends and public holidays, while Marina Square in City Hall allows a hungry lunchtime crowd to catch a free ride from Clifford Pier, TheSail@Marina Bay and Marina Bay Financial Centre from 11.30am to 2.30pm on weekdays. The IKEA furniture store in Alexandra offers weekend shuttle bus services between the store and Tiong Bahru, Buona Vista and Redhill MRT stations. The Tampines outlet offers similar services to and from Tampines, Bedok, Sengkang and Pasir Ris MRT stations. A 10km trip during off-peak hours - with five minutes of waiting, including stops at traffic lights, and no surcharges - will cost $9.80, while a similar trip will cost $14.71 in Hong Kong, and $26.62 in New York, according to the Land Transport Authority website. The Singapore fare is based on ComfortDelgro's Hyundai Sonata taxi rates. City Square Mall in Kitchener Road offers free parking for the first 1½ hours during the weekday lunchtime period between 12pm and 2pm. 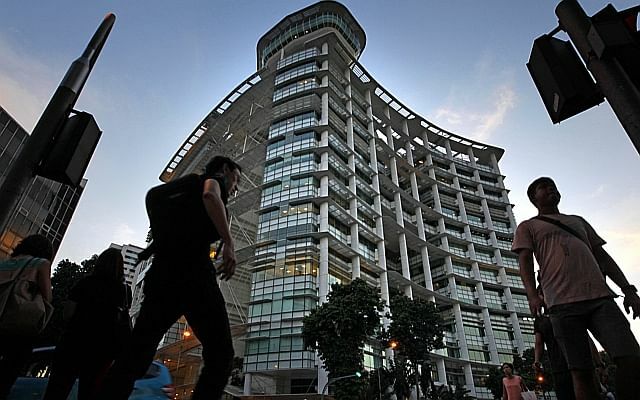 IMM Building in Jurong East offers two hours of free parking upon entry every day. But this calls for good time management - not for shopaholics. 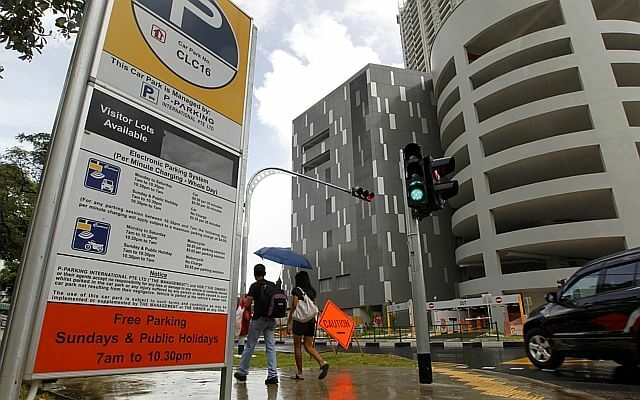 Parking is also free at most HDB carparks from 7am to 10.30pm on Sundays and public holidays. For those on a budget, hawker centres and coffee shops offer cheap and good eats. For example, Deen Restaurant at 803 King George's Avenue still sells plain prata at 80 cents apiece. 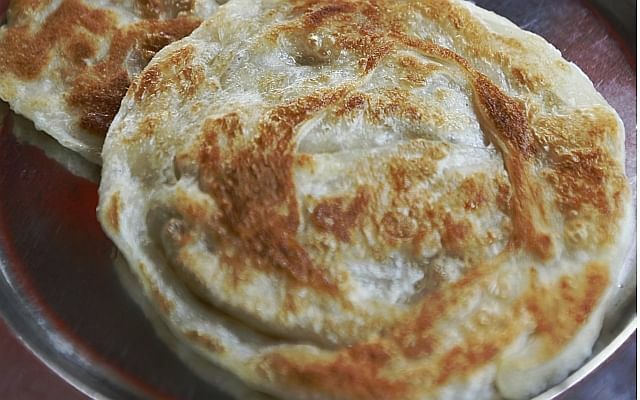 On average, a plain prata now costs $1. You can still have a bowl of fishball noodles for just $2.50 at Le Gong Noodle House at Block 216, Bedok North Street, even though raw ingredients such as mushrooms are now more expensive. It's $3 a bowl on average at most stalls, according to a survey of 503 hawker stalls by the Consumers Association of Singapore (Case) last year. A plate of rice with two choices of vegetables and one meat costs $2.50 at Fei Zai Mixed Vegetable Rice Porridge in Maxwell Food Centre in Kadayanallur Street. This is lower than the average price of $3, according to the 2014 Case survey which named Fei Zai as one of the cheapest mixed vegetable rice stalls in Singapore. No mixed feelings about heading down there, then. Maxwell Food Centre is also home to other cheap fare. You can get hum chim peng, a kind of fried dough, at $1 for six pieces. For the same price, you can also get a bowl of peanut soup. It's now 80 cents or $1 for a cup of the hawker centre staple. But a stall in Kovan Hougang Market and Food Centre has kept to the price of yesteryear - 30 cents. Cheaper than a glass of tap water at some food outlets. Enough of local fare? 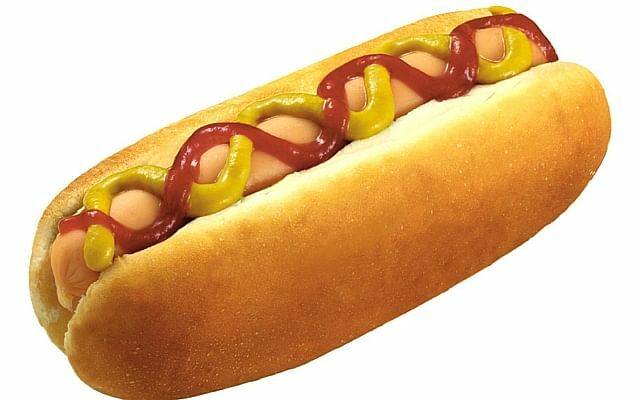 Head down to IKEA for a piping hot $1 hot dog bun, and for dessert, a 50-cent vanilla ice cream cone. So cheap and good, they are as famous as the Swedish store's stylish and wallet-friendly furniture. There are several subsidy schemes for Singaporeans including Medisave, Medifund, Medishield and Eldershield. There is also the Community Health Assist Scheme or Chas, which helps to lower the burden of medical costs for seniors, as well as those from lower and middle income households. Polyclinics also provide a cheap alternative to visiting general practitioners in private clinics. Consultation for Singaporeans is about $11, while it is $41.70 or $44.62 for non-residents. 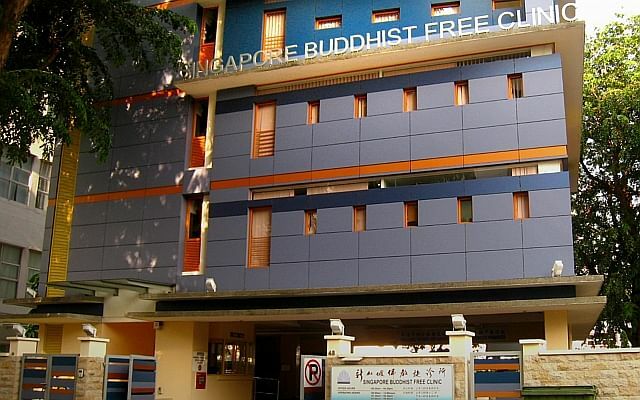 The Singapore Buddhist Free Clinic, which provides traditional Chinese medicine (TCM) services, offers acupuncture and certain treatments for free. It charges just $1 for registration. It has clinics in areas like Tanjong Pagar, Sembawang and Jurong. Its website address is www.sbfc.org.sg. A basic health insurance policy in Singapore costs US$90.50 (S$113.20) annually, according to Deutsche Bank. While the definition of a standard package varies among countries, the bank pointed out that the basic policy in Singapore is extremely affordable compared to places like Australia, Japan, and France, where a basic policy can cost between US$1,500 and US$2,000. Annual healthcare premiums in the United States topped the list at US$5,884. A movie ticket costs $12 to $13 on weekends - cheaper than China ($16-$24) and Japan ($22) at least. You can also watch a movie for free. 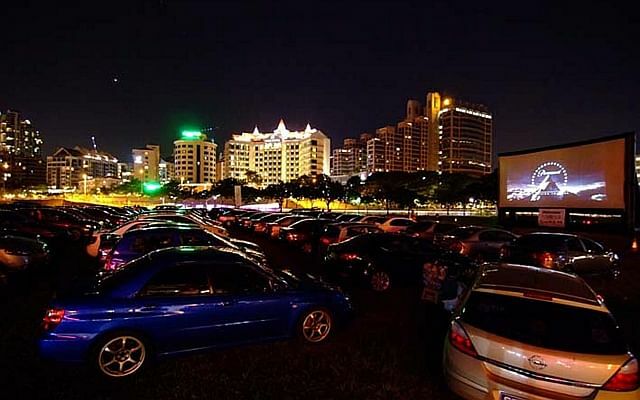 MovieMob, an outdoor movie specialist, offers free drive-in outdoor movies that are screened regularly. Movies are usually screened at the Marina Bay Sands Event Square. Other free movie screenings are also held on an ad-hoc basis at shopping malls and community centres. More information at moviemob.sg. 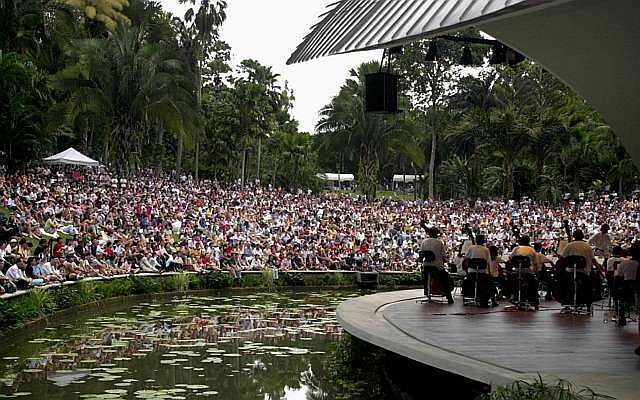 As part of its community outreach programme, the Singapore Symphony Orchestra (SSO) holds free concerts at outdoor locations such as Botanic Gardens and Gardens By The Bay, and indoor ones at lunchtime. It also holds concerts with admission fees of $10 for students. More details here. According to the Esplanade Mall website, free performances take place every evening all year round at the Esplanade Concourse. More details here. 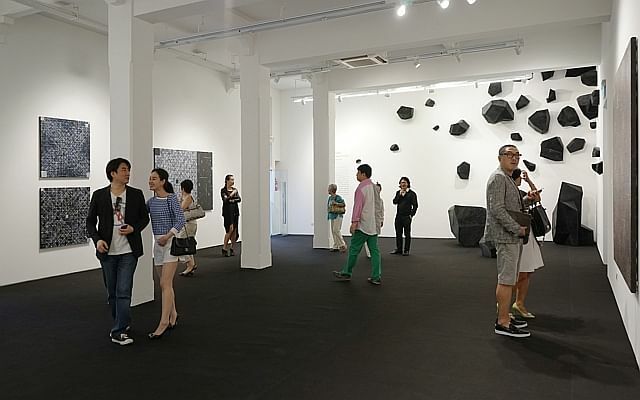 The Singapore Art Museum, home to the world's largest collection of contemporary South-east Asian Art, is free to visit every Friday between 6pm and 9pm. More information here. Singaporeans and permanent residents can borrow books and audio-visual materials from any of the 27 public library branches for free. There are also story-telling sessions that are open to all. Foreigners have to pay $42.80 for annual membership which works out to less than $4 a month. Just remember to return the books on time so that others can enjoy them as well. But even library fines are fairly affordable, unless you are very late. Overdue charges are 15 cents per day for a book or magazine or CD-ROM with accompanying book, and 50 cents per audio-visual item per day. Visit www.nlb.gov.sg for more information. Stargazing can be an expensive hobby which requires you to invest in telescopes and other equipment. But you can do it for free. The Science Centre Singapore has free sessions every Friday evening. Other private hobby groups also hold sessions regularly or on an ad-hoc basis. One group holds stargazing sessions regularly at Toa Payoh Central and Bishan. 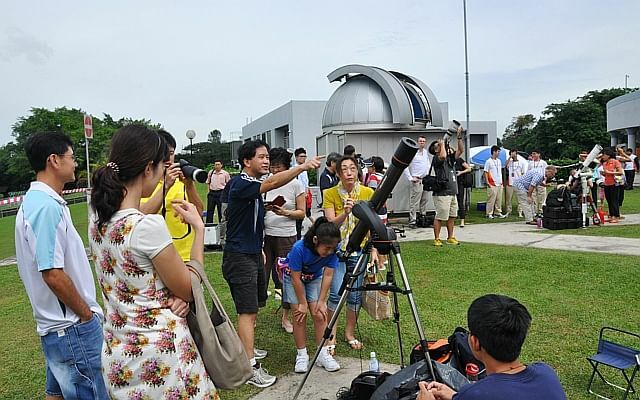 More information can be found on the Facebook page of Singapore Sidewalk Astronomy. The outdoor play area at Gardens By The Bay, the boardwalk atop VivoCity, and Changi Airport, which provides materials for children to do art, are some places popular with the young ones. East Coast Park is another good place for children to enjoy. You can also "park" your children at free play areas in shopping centres such as Marina Square. Going into the Cloud Forest or Flower Dome will cost money - Singaporeans pay $20 to visit the two conservatories, while foreigners pay $28. 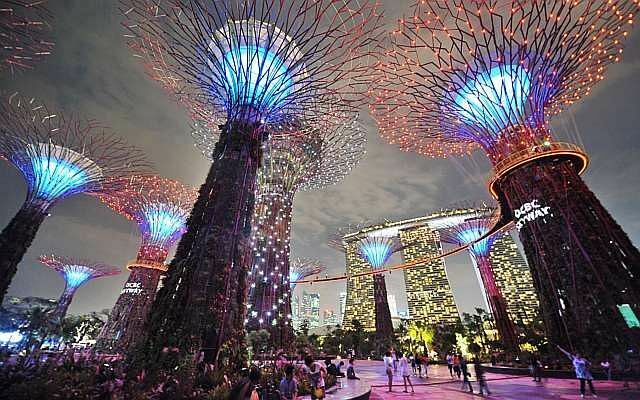 Walking and absorbing the sight of the gorgeous structures called Supertrees at Gardens By The Bay, however, comes at no cost. The mega park, which cost $1 billion to build, features more than 2,000 plant species from nearly every continent and 18 Supertrees, which are vertical gardens up to 50m tall. Admission to the Botanic Gardens, which is applying to qualify as Singapore's first Unesco World Heritage site, is free. There are sprawling pastures for visitors to sit, bask in the sunlight, and watch people play with their dogs. But just don't try to climb onto the legendary Tembusu tree which is more than two centuries old. Magnificent sights do not always come with a price tag that takes your breath away. The 56th level of ION Orchard, 218m above ground, allows anyone to admire the buildings that dot the country from up above. Admission into the Ion Sky observatory is free. It is open from 10.30am to 8pm daily, and the last admission is at 7.30pm. The food court on the fourth floor of shopping mall Marina Square also offers a great view. The rooftop of the Esplanade and the open-air sky garden at National Library are also places to enjoy Singapore's skyline. 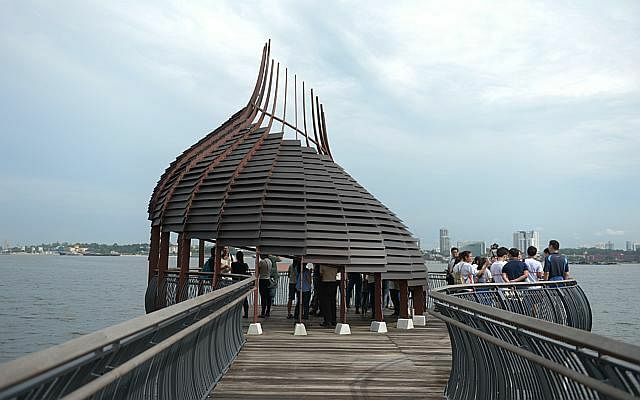 Free guided tours are conducted for those visiting Singapore's first marine park. Registration is required for the tour which can take up to 45 people. But be sure to sign up early at www.nparks.gov.sg because slots get snapped up quickly. Registration for the next tour opens on April 1. The Sisters' Islands boast a variety of habitats including coral reefs, sandy shores and seagrass areas. If you are lucky, you may even spot wild dolphins there. The Ministry of National Development organises #instawalks for visitors to discover the beauty and nature of Singapore, and share the sounds and sights with others on Instagram. Transport, guides and refreshments are provided. The last #instawalk was to Sungei Buloh Wetland Reserve in January this year. 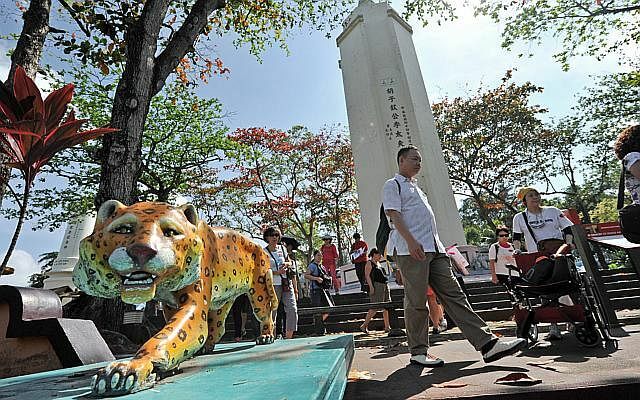 Haw Par Villa - owned by the Myanmar-Chinese Aw brothers of Tiger Balm ointment fame - used to be popular among families and tourists because of its 1,000 statues depicting scenes from Chinese folklore, including the well-known "10 courts of hell". 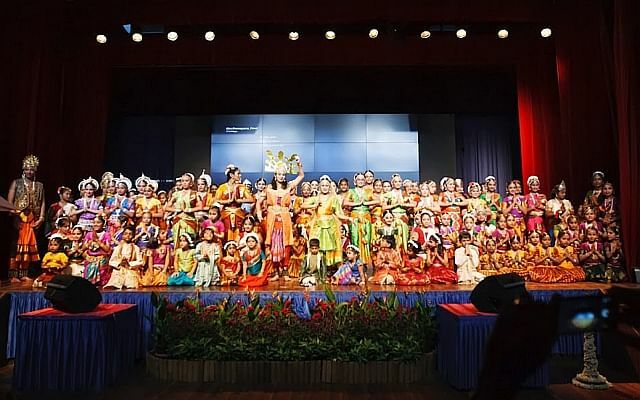 It made a comeback recently as part of the Singapore Tourism Board's Tourism50 campaign to encourage Singaporeans to visit local attractions. Admission is now free. 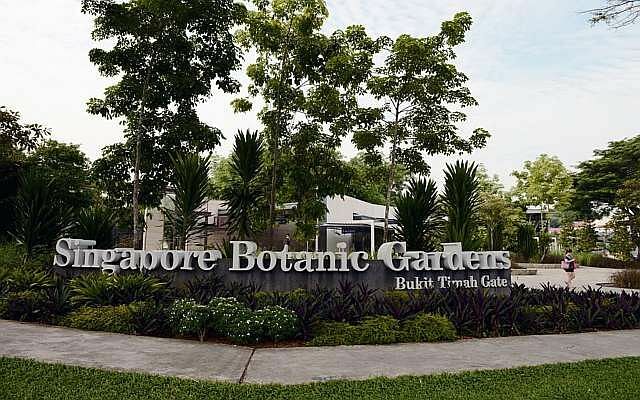 Bukit Timah Nature Reserve is closed for a two-year revamp which will be completed next year. But the trails surrounding the reserve - including the Hindhede Nature Park, Kampong Trail, Rail Corridor and mountain bike trail - are still open to the public. For good bargains, head down to Bugis Village or Far East Plaza and stores in neighbourhood estates like Yishun, Toa Payoh and Ang Mo Kio. In these lesser-known places, you can get a top for as little as $10, or $15 for a pair of flat sandals. You can burn fat without burning a hole in your pocket. Instead of paying for a gym membership, make use of the public fitness corner in your neighbourhood or take a dip at the public swimming pool which charges just $1 for admission on weekdays, and $1.30 on weekends for adults. Badminton courts can also be booked for between $3 and $9 an hour at community centres, depending on whether it is during peak periods in the evenings and weekends, and whether the person booking the court has a Passion Card. You can also use for free basketball courts, badminton courts and street soccer courts in some neighbourhoods - but be sure to book early because these facilities are popular. Not the sporty kind? You can always watch while others sweat it out. You can get free tickets to watch sports such as athletics, tennis and bowling during the upcoming SEA Games. 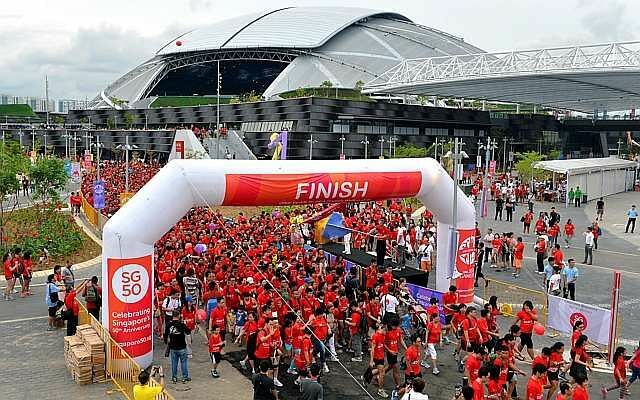 The games, which run from June 5 to 16, will be held in 31 competition venues in three clusters in Kallang, Marina Bay and the Singapore Expo area.